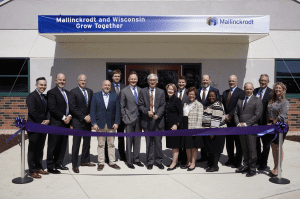 With major expansion projects already underway at several of its Madison-area sites, Exact Sciences Corp. is also in line for a new corporate headquarters at University Research Park that could add 200 to 440 new jobs there over the coming years. 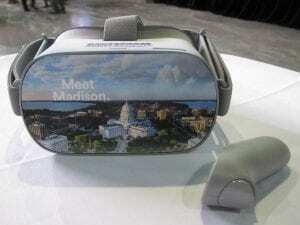 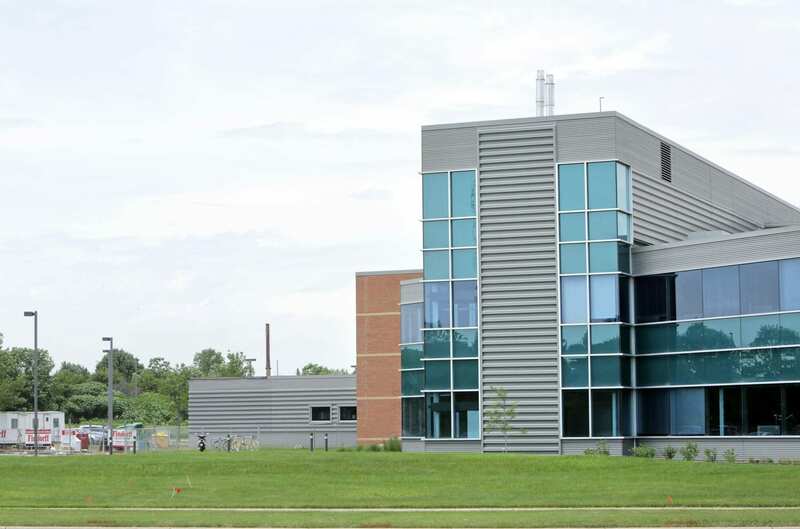 Aaron Olver, director of University Research Park, said the organization proposes to build a five-story, nearly 140,000-square-foot building, tentatively called Innovation One, and lease it to Exact Sciences for the company’s administrative offices. 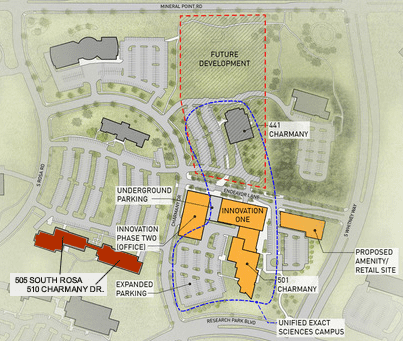 The project would be built next to and would connect with the cancer test company’s existing research and development building at 501 Charmany Drive, and would include a 338-stall underground parking ramp and 134 surface stalls.